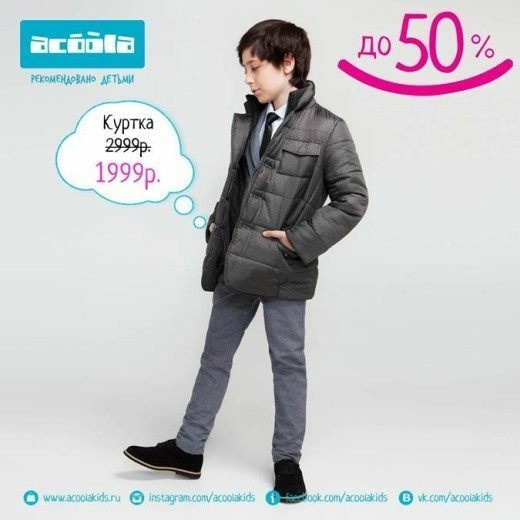 ACOOLA never ceases to please its customers a pleasant surprise and great deals. 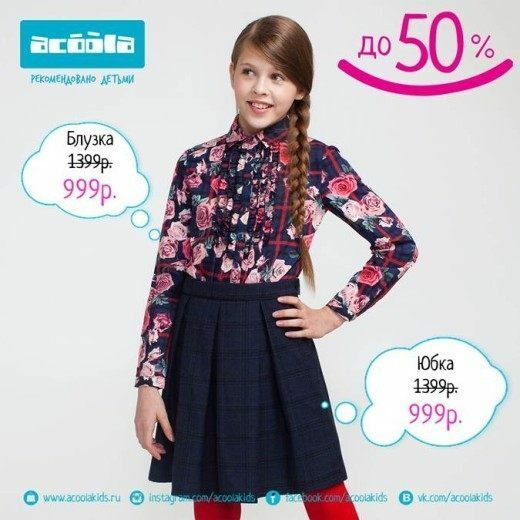 From 17 to 30 September stylish things from the autumn collection and the school can be purchased at special prices with discounts up to 50%! 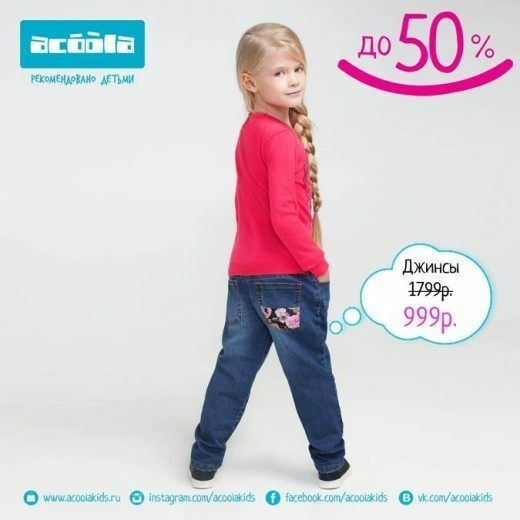 * The campaign applies to a limited range. 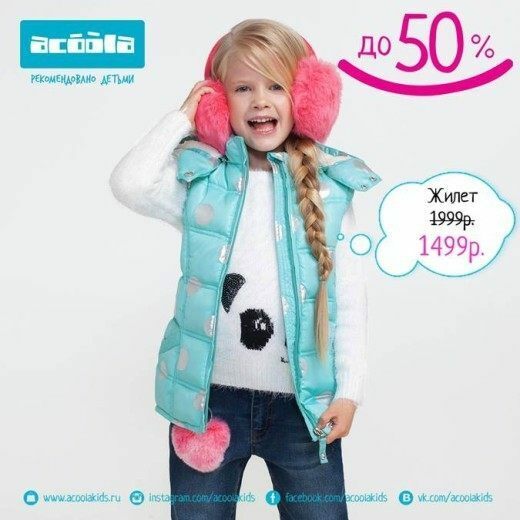 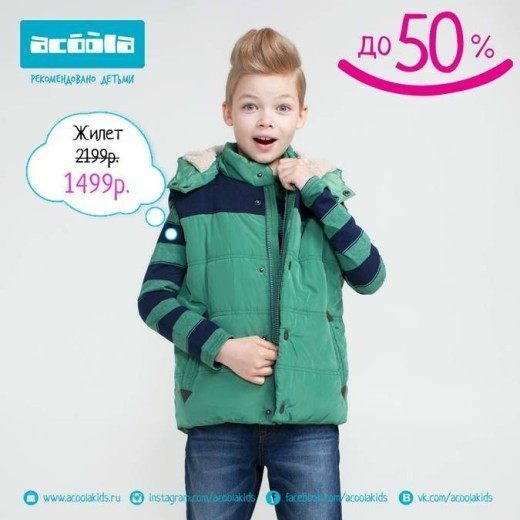 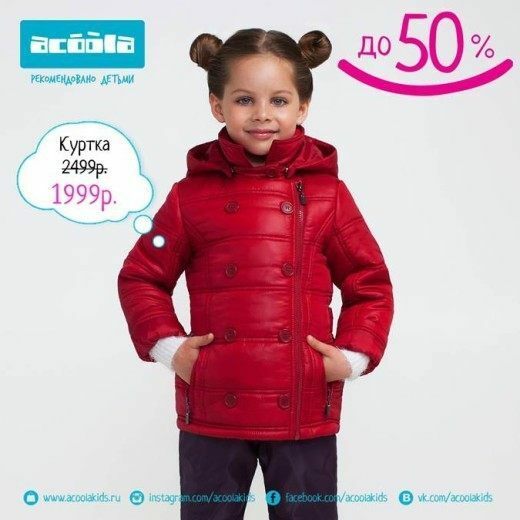 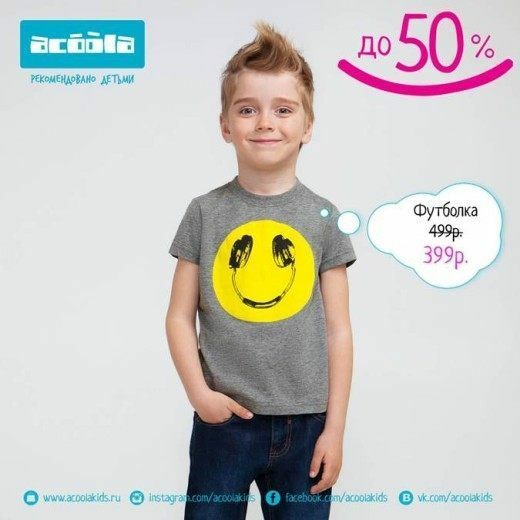 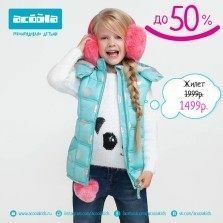 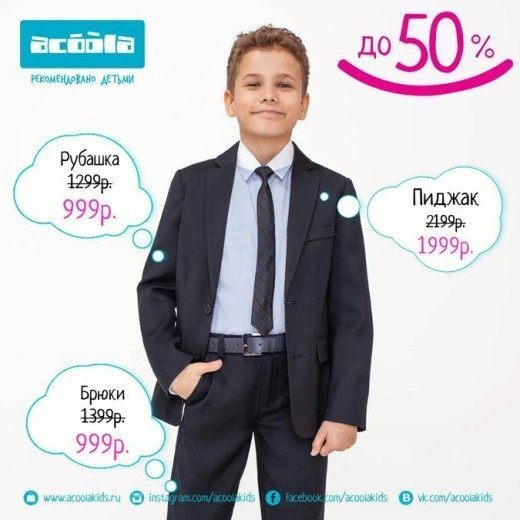 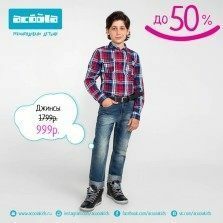 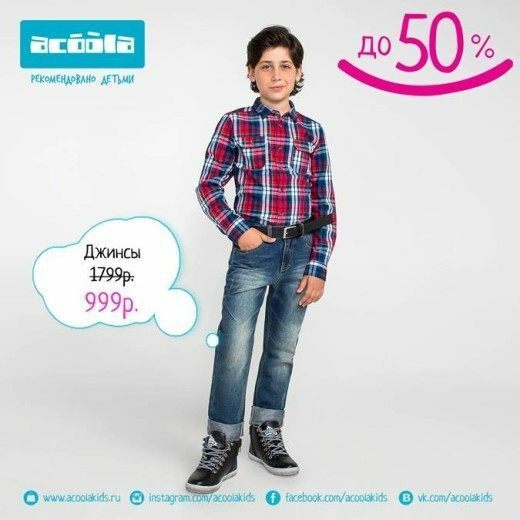 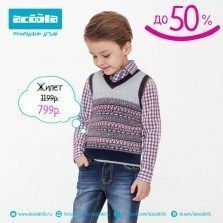 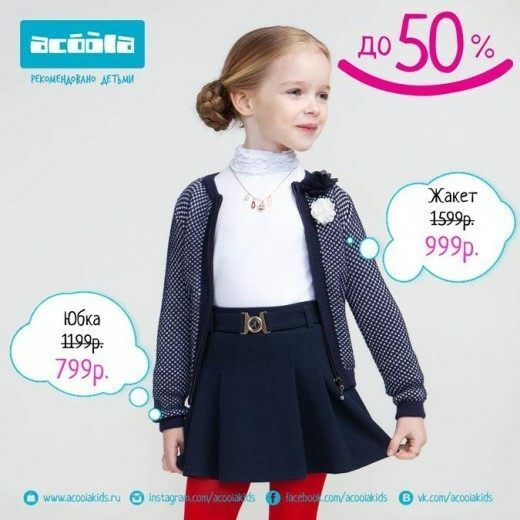 List assortment participating in the action check with the store personnel or on the official website acoolakids.ru section About Us.